Odd rock ore is a mineral ore that drops odd rock. 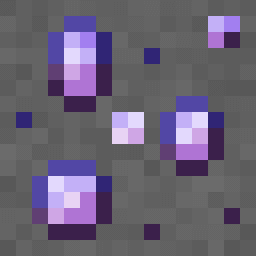 Odd rock ore is a mineral found in the deep of the world, when is mined with an iron pickaxe or better leaves an odd rock, and some experience points. There are currently no known bugs with odd rock ore.
A naturally occurring vein of odd rock ore, with the texture used from 1.19.4_6 until 1.27. This page was last edited on 30 December 2018, at 11:50.